Today I brought lunch to work in the form of a filet of trout and a portion of rice. I wrapped it in aluminium foil and baked it in the toaster oven for about 12 minutes at 350. It was actually pretty good. These little trout are quite tasty on their own but I could really use a little salt and a little fat to make it better. I think it's time to go to the beach and get a bucket of Atlantic Ocean in order to make some salt. I'll probably do that after work tonight and boil down the salt water overnight. I was thinking about the fat/oil issue as well and one of the best sources of natural fats that I can think of would be from roasting a duck or a goose. I have never trapped a live duck or goose during a SDC in the past so I am going to push this up to the top of the priority list. There are many geese in the park down the street from my house but I don't know how to go about capturing one in a humane way without someone seeing me and getting upset. Of course, I would let it go but I do need to capture one in order to take advantage of the Small Animal Clause in the rules. I will give this some serious thought because a goose would be a great resource for many meals. 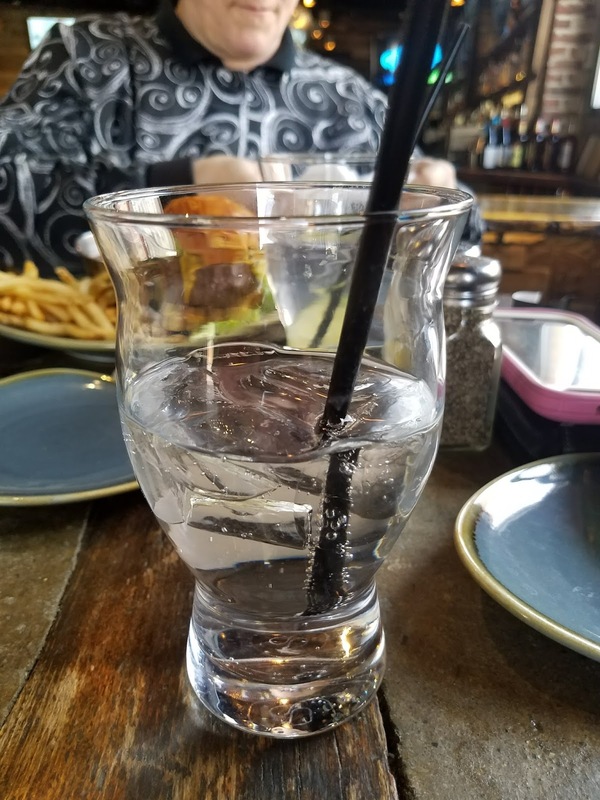 I went out to a restaurant today and had water while watching my co-workers enjoy their lunch. 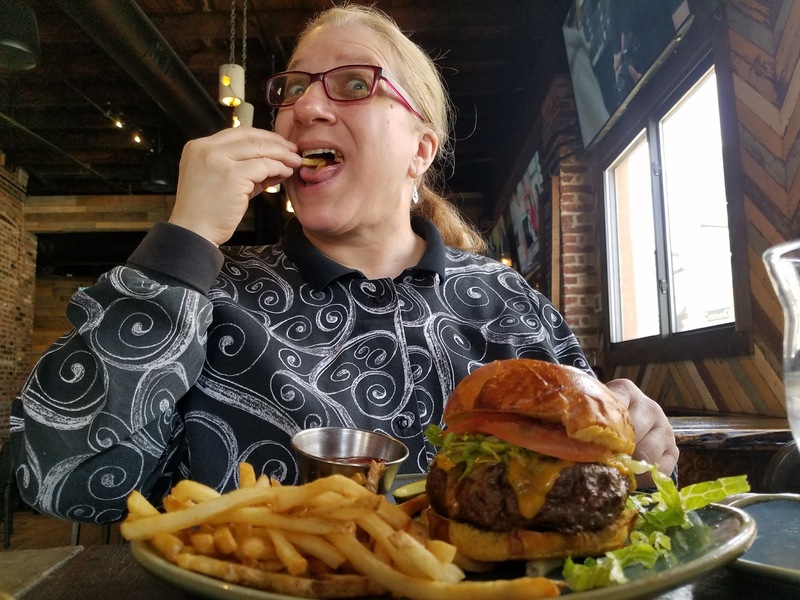 I know it's only been 3 days but the burger that Kathy got at the Red Rock was photo worthy and made me salivate a little.